Pictured is a Premium Style 50 inch lounge with two (2) 6 inch Arm Rests one on Bow side of Lounges and one on Port side of Lounges. First, take your measurement so you know how much room you have to work with. The Arm Rest is 6 inches So remember that you need to add 12 inches for the arm rests when measuring for your Lounge size when ordering. 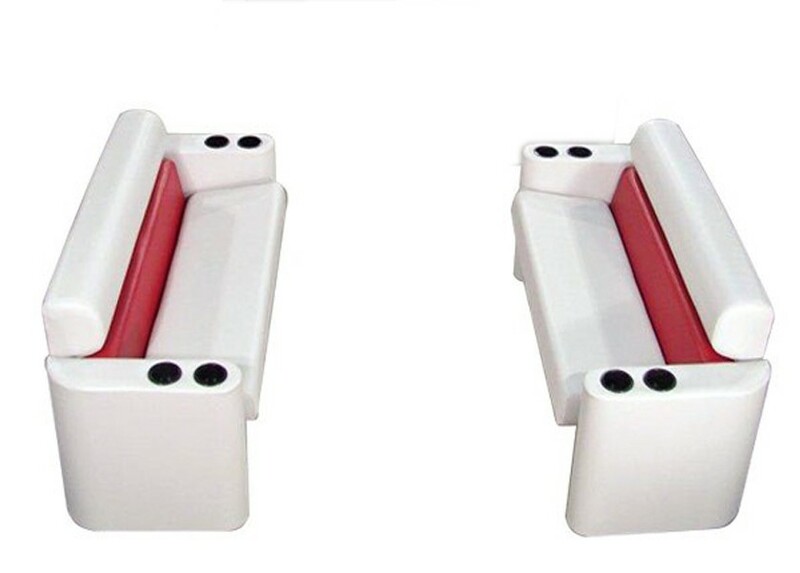 This Front Package is for 2 of the same Lounges and Arm Rests one for Bow-Portside and one for Bow-Starboard Side. If you want to have two different packages on each side, Please call toll free to talk with one of our Design Specialist to place your order. You may want to add a Captains Seat, Flip Flop or Console. We offer the largest Pontoon boat seat sizes in the marine industry 24, 30, 36, 39, 48, 50, 54, 60, 63, 66, 69, 72, 74, 78, 84, 90 and 96" Lounges. This arrangement can be purchased in the Elite or Platinum Styles, please look at the other Front Group arrangements that we offer. 4; All bases feature a raised floor with a recessed water diverting channel to help keep your gear dry and allow clear flow of water to drains. 31oz - Same weight as used by major boat manufactures. Pictured is a Premium Style 50 inch lounge with two (2) 6 inch Arm Rests one on Bow side of Lounges and one on Port side of Lounges. First, take your measurement so you know how much room you have to work with. The Arm Rest is 6 inches So remember that you need to add 12 inches for the arm rests when measuring for your Lounge size when ordering. 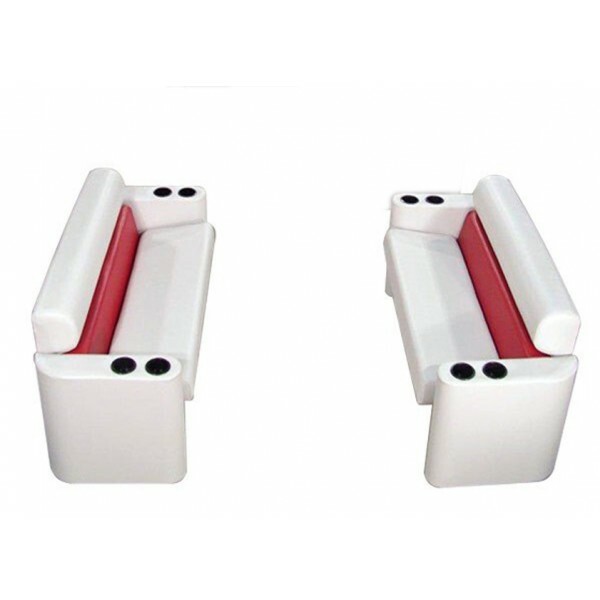 This Front Package is for 2 of the same Lounges and Arm Rests one for Bow-Portside and one for Bow-Starboard Side. If you want to have two different packages on each side, Please call toll free to talk with one of our Design Specialist to place your order. You may want to add a Captains Seat, Flip Flop or Console. We offer the largest Pontoon boat seat sizes in the marine industry 24, 30, 36, 39, 48, 50, 54, 60, 63, 66, 69, 72, 74, 78, 84, 90 and 96" Lounges. This arrangement can be purchased in the Elite or Platinum Styles, please look at the other Front Group arrangements that we offer.